Ravnica's vast, worldwide cityscape is a patchwork of grand halls, decrepit slums, and ancient ruins, with layer upon layer of stonework—and guild manoeuvrings. This set of collectible figures is perfectly suited to represent the machinations of characters and creatures found in the forthcoming D&D Guildmasters' Guide to Ravnica! 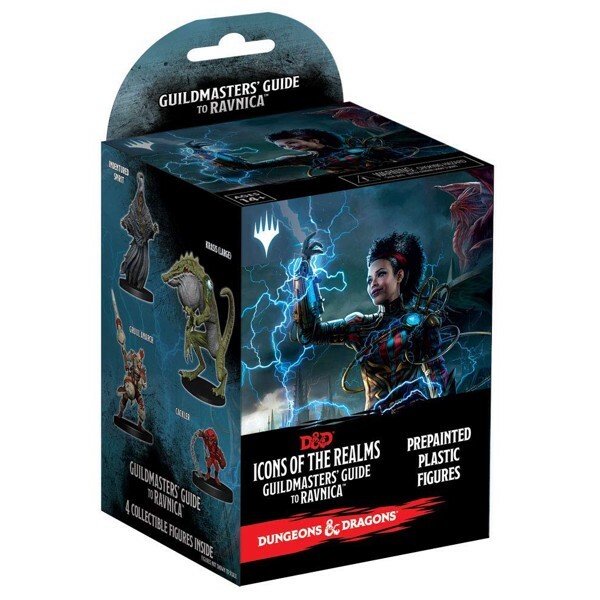 Guildmasters' Guide to Ravnica contains entirely new pre-painted miniatures like the Deathpact Angel & the implacable Gruul Anarch. The Ravnican guildmasters themselves make an appearance, including the mysterious Lazav and benevolent Trostani. This set also includes several fan favourite creatures, such as Boros Reckoner and the Nightveil Specter! 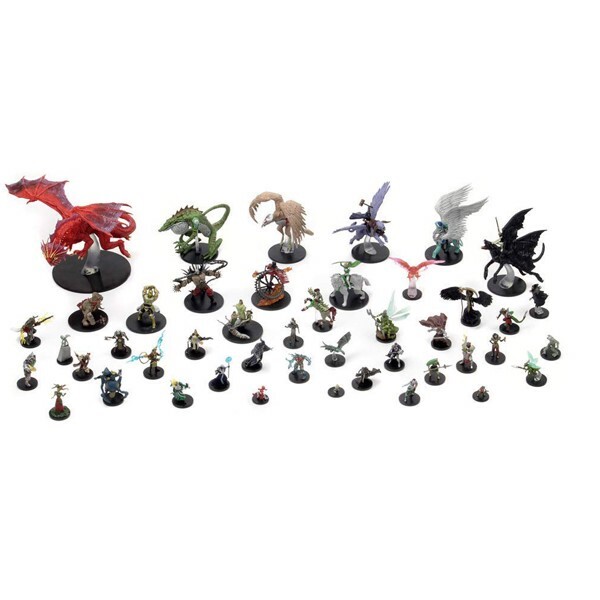 Collect all 44 figures from Guildmasters' Guide to Ravnica, the newest set of randomly sorted monsters and heroes in our exciting line of D&D miniatures, Icons of the Realms. Randomly assorted pre-painted figures from Guildmasters’ Guide to Ravnica! Pre-painted miniatures like the death pact angel & the implacable gruul anarchy. The ravnican guild masters themselves make an appearance, including the mysterious lazav and benevolent trostani. Niv-Mizzet Red Dragon Premium Figure sold separately.